This course will examine representations of the Nazi Holocaust and related aspects of Nazi Germany by focusing on Auschwitz. 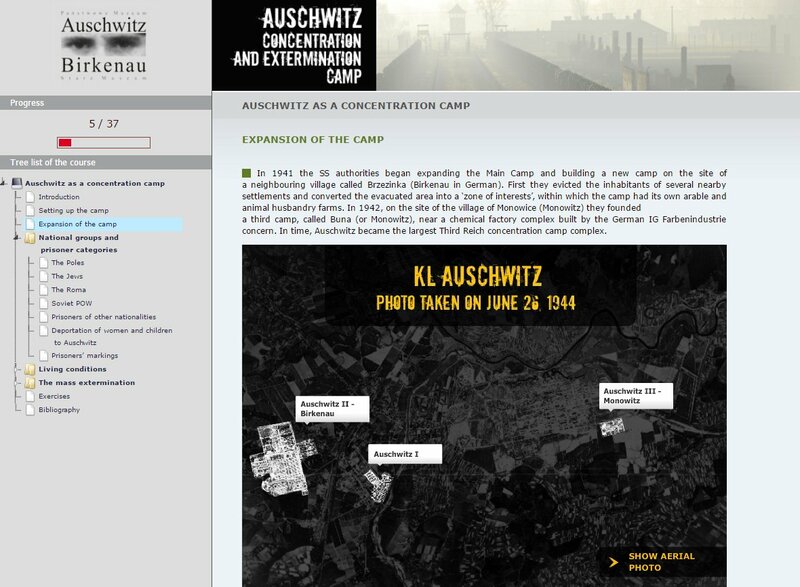 Auschwitz was a place in which several frequently conflicting agendas of the Third Reich intersected: it was an industrial compound, a concentration camp, a medical research site, and an extermination facility; it served to imprison, terrorize, enslave, and kill. Its operation as well as the so-called “twisted road” that led to it provide a horrific and revealing example of the strange ways in which the Third Reich ruled by a strange mixture of chaos and consent. 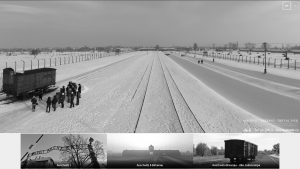 More importantly, Auschwitz is a site of conflicting memories that raise the question how, and if at all, it can be remembered and commemorated in ways that resist both sentimentalization and the recourse to conventional literary or cinematographic imagery. Even after the 16th of May, 1943, a number of undetected bunkers remained in the area of the former ghetto. It seems that hundreds of Jews still lived among the ruins of the ghetto, even after its official liquidation. 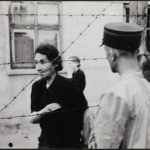 Due to the harsh conditions and the presence of Germans in the area, only a small number of these Jews managed to survive for any extended period of time. ‘I buried my negatives in the ground in order that there should be some record of our tragedy.’ The photographs of Henryk Ross. Washington Post. Women played a vital role in Adolf Hitler’s plan to create an ideal German Community (Volksgemeinschaft). Hitler believed a larger, racially purer population would enhance Germany’s military strength and provide settlers to colonize conquered territory in eastern Europe. The Third Reich’s aggressive population policy encouraged “racially pure” women to bear as many “Aryan” children as possible. Auschwitz, the Nazi German concentration and extermination camp, is the most recognizable symbol of the Holocaust and place of genocide in the world. Never, and in no other camp or extermination center did the SS murder such a great number of Jews from nearly all the Nazi occupied Europe. However, many people do not know that Poles constituted nearly 40% of the prisoners registered in the camp and that those incarcerated and murdered there included also: the Roma, Soviet POWs and prisoners of over twenty nationalities. 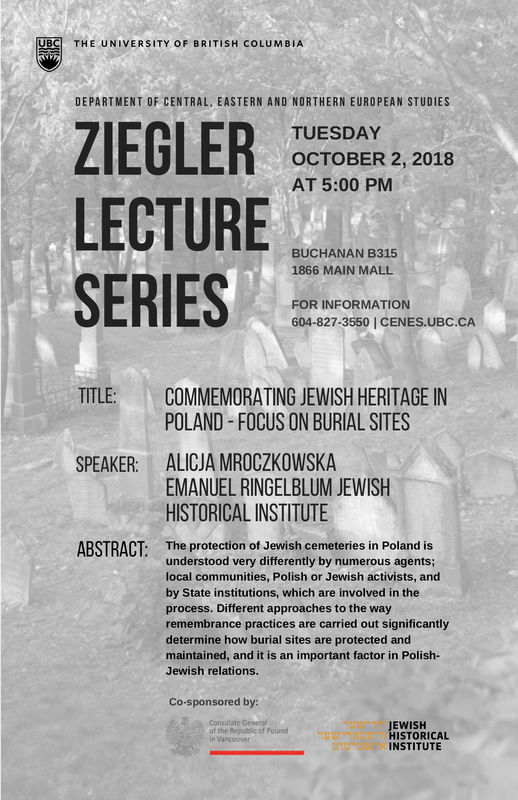 And only experts will know the role Auschwitz was to play in the Nazi German settlement plans of Eastern Europe, which – aside from exterminating the Jews – posited also the destruction of the majority of the Slavic population. 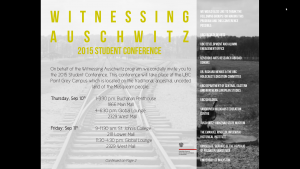 Please join us for the student conference on Witnessing Auschwitz! On behalf of the Witnessing Auschwitz program, we cordially invite you to the 2015 Student Conference. This conference will include student panels centred on the research they conducted whilst in Poland. 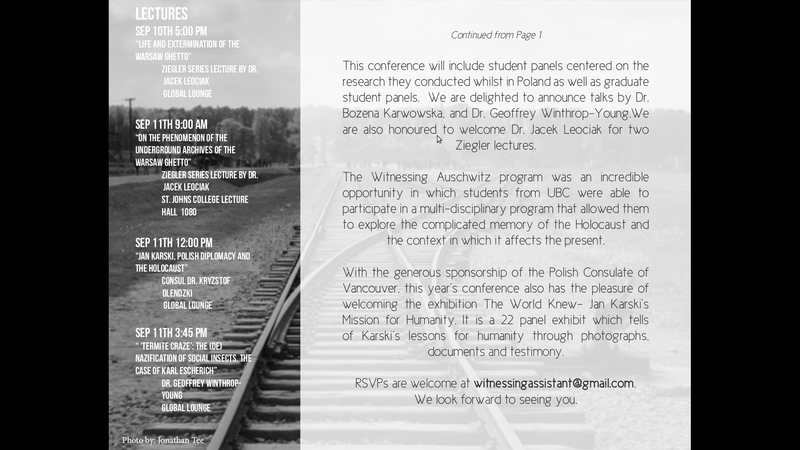 The Witnessing Auschwitz program was an incredible opportunity in which students from UBC were able to participate in a multi-disciplinary program that allowed them to explore the complicated memory of the Holocaust and the context in which it affects the present. 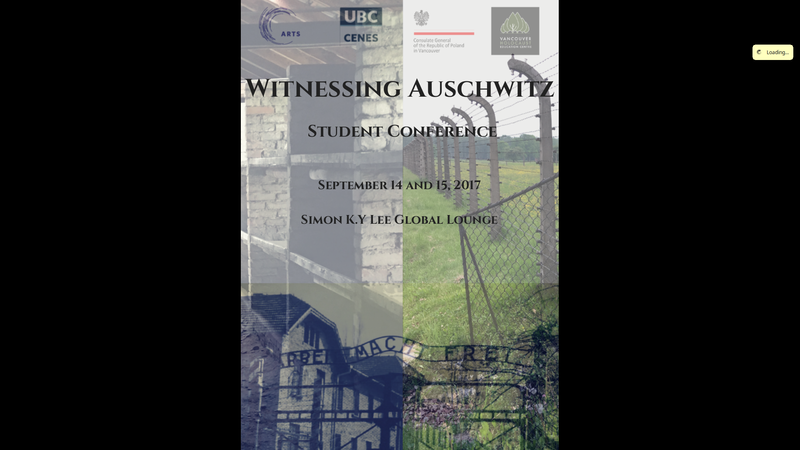 This year will also include many different speakers.Their topics will be an invaluable opportunity to learn more about the Holocaust. With the generous sponsorship of the Polish Consulate of Vancouver, this year’s conference also has the pleasure of welcoming the exhibition The World Knew- Jan Karski’s Mission for Humanity. It is a 22 panel exhibit which tells of Karski’s lessons for humanity through photographs, documents and testimony. 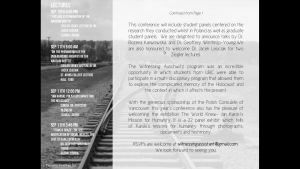 Posted on September 9, 2015 September 29, 2018 Categories conferences, Polish Studies: History, Literature and the Holocaust, UBC Vancouver, Witnessing AuschwitzTags Holocaust, Jan KarskiLeave a comment on Please join us for the student conference on Witnessing Auschwitz!